My research is in the area of dynamical systems and autonomy and focuses on developing scalable tools for verification and control of networked, cyber-physical systems. I am especially interested in applying these tools to create efficient, intelligent, and autonomous transportation systems. My research contributes to and draws from domains including control theory, nonlinear and hybrid systems theory, formal methods, learning in probabilistic systems, and optimization. Sam Coogan received the B.S. degree in Electrical Engineering from Georgia Tech and the M.S. and Ph.D. degrees in Electrical Engineering from the University of California, Berkeley. In 2015, he was a postdoctoral research engineer at Sensys Networks, Inc., and in 2012 he was a research intern at NASA's Jet Propulsion Lab. Before joining Georgia Tech in 2017, he was an assistant professor in the Electrical Engineering department at UCLA from 2015–2017. 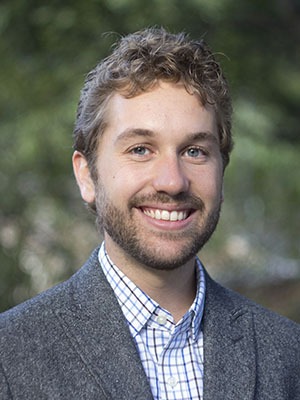 Coogan received a Young Investigator Award from the Air Force Office of Scientific Research in 2018, a CAREER Award from the National Science Foundation in 2018, the IEEE Transactions on Control of Network Systems Outstanding Paper Award in 2017, the best student paper award at the 2015 Hybrid Systems: Computation and Control conference, the Eli Jury Award from UC Berkeley EECS in 2016 for "outstanding achievement in the area of systems, communications, control, or signal processing," and the Leon O. Chua Award from UC Berkeley EECS in 2014 for "outstanding achievement in an area of nonlinear science."